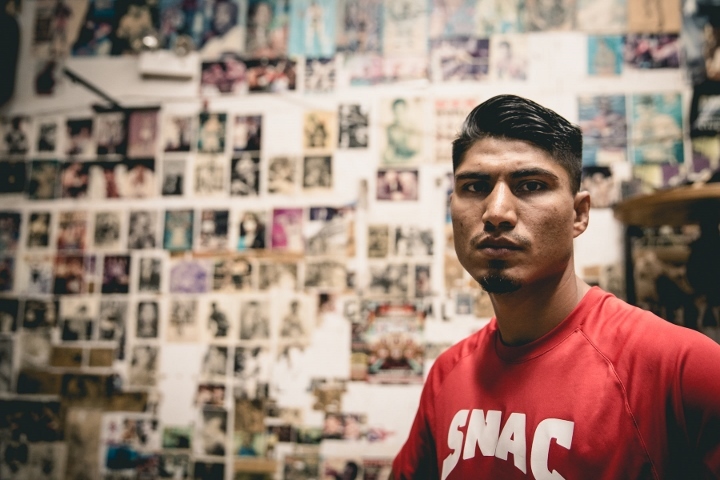 In a recent interview, Top Rank's CEO, Bob Arum, stated that WBC lightweight champion Mikey Garcia (37-0, 30 KOs) is demanding "millions of dollars" for a fight with Vasyl Lomachenko (8-1, 6 KOs), who holds the WBO super featherweight title. Garcia has no idea how Arum came up with that information, because he says the two of them have never discussed the financial terms, or any terms for that matter, for a Lomachenko fight. "Bob Arum does not even know what we're asking for, because we've never sat down to discuss that issue. He always says that I ask for a lot of money, and that's why the fights have never been given to me, but that's something that can not be known - simply because he's never sat down and talked to me. We have never discussed that issue," Garcia said to ESPN Deportes. Garcia has serious doubts about that contest happening. He doesn't believe Lomachenko really wants the fight. Garcia's team has pointed out in several interviews, that Lomachenko is being carefully matched, and they point to his opponent on Saturday night - Miguel Marriaga - who is a featherweight coming up to 130-pounds and the challenger is also coming off a loss. "I warn you that I don't see him wanting to do this fight at the moment. Because they are not taking any concrete steps to arrange the fight," said Garcia. "He's still fighting at 130 pounds. He has not [fought] at 135, which is where I would want to see him and that is the limit that I'd want for this fight, because I can't get down any lower. It's a fight that could be done this year, but at 135 pounds. "Lomachenko's manager, Egis Klimas, has spoken with my brother, Robert Garcia. They have already started the discussions for a fight between Lomachenko and myself. I understand that the idea is to make a little noise and try to make that fight bigger. My brother and I agree on that. We accept that it can become a big attraction, a very big fight that the fans can start demanding to see." Arum had a long fall out with Mikey, and Arum is known to hold grudges. He won't let Mikey make a dime off him.